“Anne? Anne?” confusedly asks Christian (Claes Bang), the curator of the modern art museum Royal X, to journalist Anne (Elizabeth Moss) just before they are about to sleep together. He is confused because he has just witnessed a large chimp casually amble through Anne’s apartment. The chimp is never a topic of conversation between the two, nor is its presence ever alluded to or justified. Delightfully deranged moments like this abound in The Square, Ruben Ostlund’s surreal, sprawling, unclassifiable comedy of manners, which won the Palme d’Or at this year’s Cannes Film Festival. Though Ostlund’s breakout film, Force Majeure (2014) remains fascinating and memorable, it cannot adequately prepare you for the sheer vision, humour and intelligence of The Square. The plot, if The Square can be said to have one, goes into motion after Christian’s wallet is stolen outside of the museum. After his assistant (Christopher Laesso) suggests a harebrained scheme for recovering the wallet, the two set out to an apartment building where the “find my Iphone” app says the phone is. Christian stuffs notes demanding the return of his wallet in the mail slot of every door. The plan succeeds - Christian’s wallet is mailed back to him - but this plan has unintended consequences that will dog the curator in the future. This narrative is intercut with scenes of museum intrigue: things like press conferences with famous artists, PR nightmares that arise from a bizarre ad campaign, and a janitor’s accidental vacuuming of piles of dirt that are part of an art installation. The title of Ostlund’s film refers to a work of modern art in the museum’s courtyard - an illuminated square tile amidst the dark, cold stone of the rest of the courtyard. It’s an image whose geometric tidiness reflects the clean, bright hardness of the museum, the straightedge respectability of its employees and patrons, and even the erect posture of the tall Christian. But - like in many effective modern art works - chaos seems to emanate from the square’s bald, nearly confrontational simplicity (an absurd ad campaign executed by two of the museum’s social media staffers to promote the installation only reinforces this sense of chaos). This interplay between the respectable and the chaotic characterises nearly every scene of The Square: a press conference is repeatedly interrupted by a man with Tourette's Syndrome; a chef screams wildly at a well-dressed group of museum patrons to listen to his speech about the menu before they file off to the buffet; the same elderly crowd, formerly so restrained and respectable, dance in a total frenzy to techno music at another museum party; at yet another gathering, a man performing as a monkey wreaks havoc at a formal dinner. These shots and scenes shock you into considering the arbitrary nature of what constitutes high-culture and respectability, how classiness can easily fray into something more maddening before snapping back to its former state just as easily. This central of the idea of The Square finds its human embodiment in the characterisation of Christian, the museum curator, played perfectly by Bang as complacency incarnate. Christian knows how to go through the motions of commanding a ribbon-cutting ceremony or an interview with just the right amount of lazy art-world banalities. But the second his peace is threatened, Bang lets a very humorous level of panic flicker across his normally imperturbable face. In one moment, Christian’s two young quarreling daughters burst into his formerly quiet apartment. He immediately tries to get them to stop not to mediate an agreement between the two, but rather to restore the interrupted peace. In one of the film’s most memorable coups de theatre, Christian insists on throwing away a used condom himself - afraid of what Anne (Moss, totally hip to the film’s jive) may do with it after he leaves. In the film’s most developed narrative, Christian first agrees to his assistant’s plan to catching the wallet thief because a) the theft was an act that cost him his peace and b) it’s a non-confrontational way of seeking justice. Once he’s in the apartment building, however (after a very funny exchange with his assistant regarding who will stay in the parked car), Bang makes it obvious that Christian realises he’s opening himself up to more trouble. Bang makes Christian a character that perfectly captures the film’s general tension of respectability beset by chaos (or chaos masked by respectability). But Bang also adds to the film’s enjoyable sense of humour - it’s thanks to him that The Square so often feels like an episode of Curb Your Enthusiasm by way of Bunuel. But, obviously, it’s Ostlund who is most responsible for The Square’s success. His crisp static shots with off-kilter compositions relentlessly communicate the tension between the button-up and the unhinged. Traces of Swedish cinema can be found in some of his best images: in shots like the one in which a museum guide putters into one of the museum’s ridiculous (or possibly brilliant, who knows?) exhibitions and putters back out, it’s impossible not to feel the influence of Swedish director Roy Andersson (the opening shot from Andersson's A Pigeon Sat on a Branch Reflecting on Existence might as well be from the same movie). Even more so than in Force Majeure, Ostlund proves to be a stylist whose visuals can be direct and witty without being glib; he makes The Square thoughtful and entertaining in equal measure. 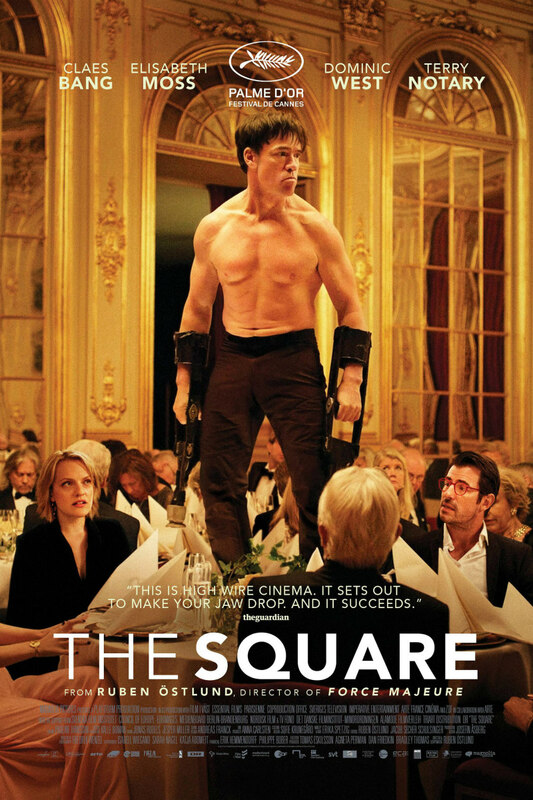 The Square’s detractors have honed in on its length and its ending as its primary flaws. I would counter that the film’s long running time and untidy ending are actually symptoms of the film’s most striking and unique quality; The Square functions as a narrative film, yes, but in its formalistic abstraction, it also functions as a very self-referential work of modern art. In the geometric organisation and matter-of-fact bizzarerie of its images, The Square is more Magritte than it is Malick, more Rothko than Resnais. The ending isn’t a point of departure for the narrative as much as it is a corner of a canvas left intentionally blank, a canvas rich with motifs, grotesqueries, and studied imbalance. Ostlund let the form of his film arise from the its content, and in the process he has created a work that asks unique questions in a unique way. 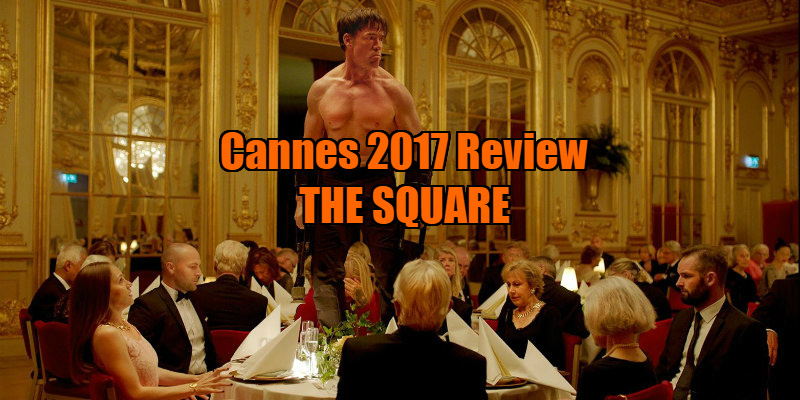 The Square is unlike anything you’ve ever seen, and you’ll feel both wiser and a little bit more pleasantly insane after watching it.